Starting 16.2 release, Avi Vantage supports Amazon Web Services integration. 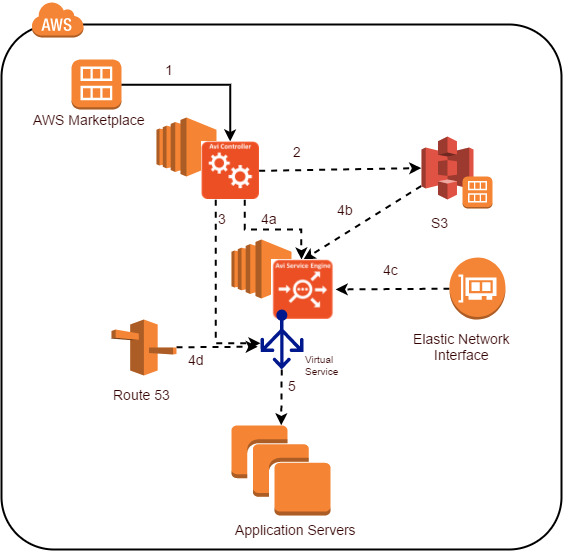 Avi Vantage offers elastic application services that extend beyond load balancing to deliver real-time application and security insights, simplify troubleshooting, auto scale predictively, and enable developer self-service and automation in Amazon Web Services. Full-featured load balancing, including multiple load-balancing algorithms and advanced HTTP content switching capabilities. AWS APIs integration for spinning up EC2 instances. Real-time insights into application health, end-user experience, and log analytics. Dynamic workload mobility across clouds based on business metrics such as cost, performance, security, and compliance requirements, reducing risk, and providing flexibility.